The 5G networks may be as much as 10 times more efficient than 4G networks. With this new level of network capability, communications service providers (CSPs) can secure future market opportunities with manufacturers of autonomous vehicles (AVs) in the fields of driver safety and data processing and management, according to Gartner, Inc.
By 2025, AVs will upload over 1 terabyte (TB) of vehicle and sensor data per month to the cloud. This is up from 30 gigabytes (GB) from advanced connected cars in 2018. "To seize the opportunity, CSPs need to make sure 5G is included in the design of future vehicles, in the fields of safety and connectivity, where the biggest chances lie," said Mr. Davenport. 5G will also provide passengers of AVs with high-quality infotainment services. "As a result, 5G networks make CSPs an important partner for enhanced vehicle systems, be it for safety, data analytics or entertainment," added Mr. Davenport. Further opportunities for 5G technology to expand and enhance AV safety systems exist. This is fostered by regulators' examination of the safety performance of AVs. "AVs periodically face a set of conditions they cannot immediately navigate, which results in the need for a vehicle-human handover," explained Mr. Davenport. "This handover deactivates the autonomous mode and hands over control to a human driver — but such a handover is not always possible. One potential solution for these scenarios where a handover to the human driver fails is to use remote pilots. Human pilots can be the recipient of a planned remote handover or help recover an AV that has become stuck." As the regulatory environment for AVs continues to evolve, regulators will likely begin to require remote control capabilities from AV OEMs or operators to improve safe operation on public roads. California-based startup Phantom Auto is developing remote control solutions for AVs using cellular connectivity. Similarly, Swedish truck and bus OEM Scania has conducted tests with Ericsson of 5G remote control capabilities for its public buses. 5G is not a technology that can be fully deployed right now, and Gartner expects that it will generate only limited benefits for AVs in the next five years. "By design, AVs cannot rely on mobile networks such as 5G for core functionality, but must utilize multiple technologies to meet performance and safety design objectives," added Mr. Davenport. 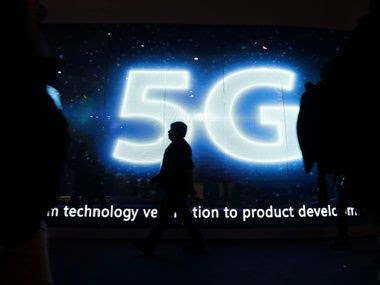 "Nevertheless, 5G networks will play a crucial role in handling the massive amounts of data generated by AVs and their users for all kinds of purposes, including safety, connectivity and entertainment." CSPs must act now to secure future market opportunities by ensuring that 5G is part of the AV design process. OEMs will need comprehensive end-to-end data solutions to streamline their management of data connectivity, storage and analytics.